George F. Johnson III, Maryville dentist, was born in Eastern Kentucky. He graduated from the University of Louisville School of Dentistry with a Doctorate of Dental Medicine degree in 2006. After earning his degree, Dr. Johnson practiced dentistry in Eastern Kentucky before joining his cousin, Dr. Chaney, to establish Elite Dental in Dandridge, TN. Dr. Johnson has developed a distinct dental practice in East Tennessee. He strives to provide excellent patient care and comfort as well as beautiful dentistry. Dr. Johnson achieves this by building relationships with his patients and understanding their needs, goals, and values. He practices in Dandridge and Maryville and focuses on the most up-to-date procedures and technology for his patients. He continues to take advanced training to exceed the continuing education requirements of Tennessee. Dr. Johnson is a member of the American Dental Association and the Tennessee Dental Association. He has also obtained training and implant surgery certification through Nobel Biocare. Dr. Paul Jason Chaney is from Pikeville, a small town in Eastern Kentucky. He attended Pikeville College for his undergraduate studies and obtained his Doctorate of Dental Medicine from the University of Louisville in 2006. Drs. Chaney and Johnson established Elite Dental in Dandridge in 2007. The beauty of East Tennessee and the need for more quality dentistry are the two primary reasons that Dandridge was chosen. In 2016, Drs. Chaney and Johnson added an Elite Dental location in Maryville, TN. 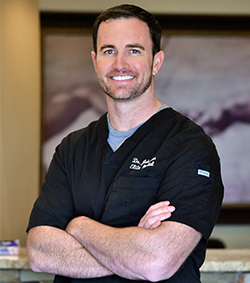 Dr. Chaney belongs to numerous organizations and has obtained certifications that enable him to perform advanced procedures such as implants and Botox therapy. Dr. Chaney has devoted his professional career to providing the most up-to-date procedures to the wonderful people of East Tennessee. To keep abreast of the latest developments in his profession, he has always exceeded the continuing education requirements of Tennessee. Dr. Chaney has many hobbies which include hunting, basketball and spending time with his family and friends. 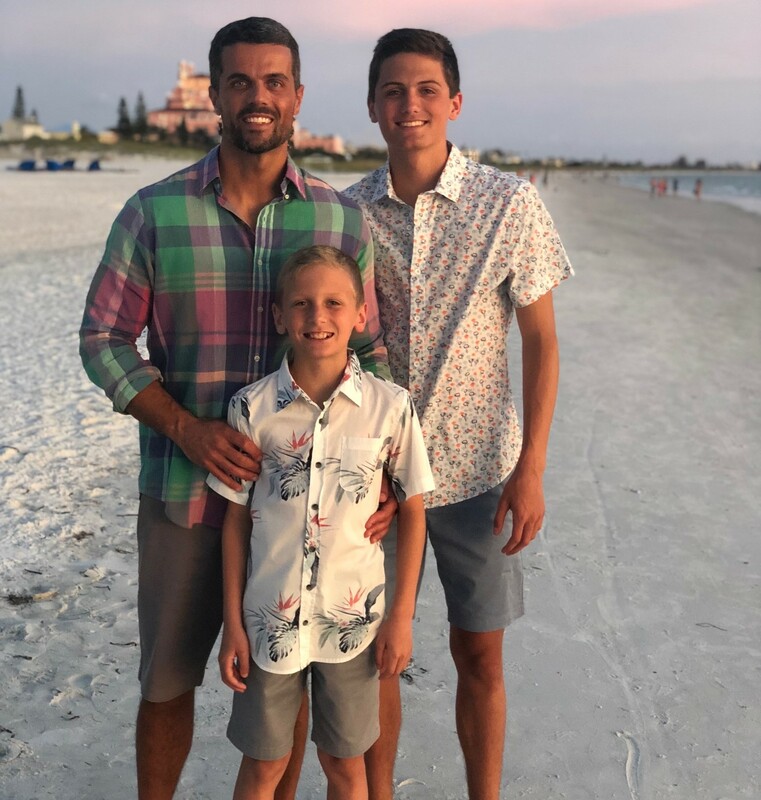 He has two wonderful boys, Braxton and Jacob. Rachel Chaney was born in a small town in the mountains of Eastern, KY. At a young age, she became inspired by the excellent skills and dental care provided by her older brother, Dr. Jason Chaney, and followed in his footsteps to receive the best dental training possible. She received an undergraduate degree in Biology from Pikeville College and a Doctorate in Dental Medicine from the University of Louisville in 2016. After graduating, Dr. Chaney set forth to gain as much experience possible and began practicing in a busy dental practice in Kentucky. She focused on providing the best care possible to patients with diverse levels of oral health based on their specific priorities and needs. 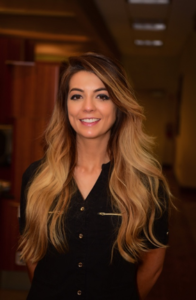 Gaining experience in endodontics, oral surgery, full mouth rehabilitation, and cosmetic dentistry, she soon realized that the next step to take was to work alongside the best practitioners she knew which led her to join the Elite Dental team in Dandridge and Maryville. When Dr. Chaney isn’t working on smiles in the clinic, she focuses on making her friends and loved ones smile just as bright. Always looking for adventure, fun, and staying active, you’ll either find her working hard, in the mountains hiking with her dog, or enjoying time at home with her friends and family.